Looking for a romantic place for your date with your love ones this coming Valentines? 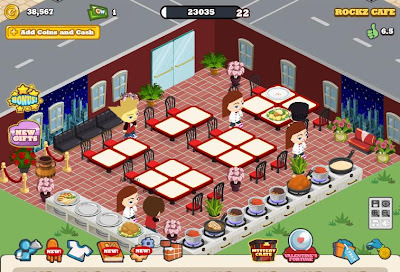 Well, the recent innovation of your favorite cafe, the Rockz Cafe will surely fits your need! 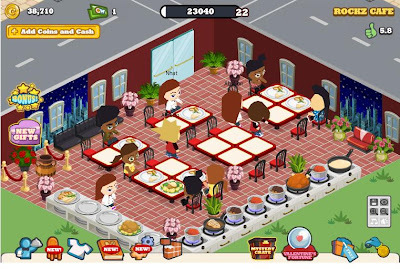 Yeah, my favorite Facebook application, my cafe world's own resto which is known as the Rockz Cafe is keeping its way up to success! I am now on level 22! 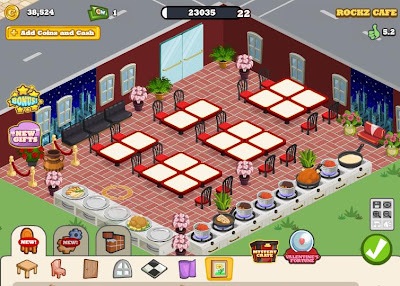 Just like I've told you before, I will let you know on every development of my cafe! It's Nice, Clean, Beautiful, and Romantic! Still my theme is Valentines and Chinese New Year! As you can see, red surrounded the place! Red is for love and prosperity! How about you guys, any other things you wanted to add? Do you like now my current design?! What more you want to suggest?! Did it satisfy your taste? !